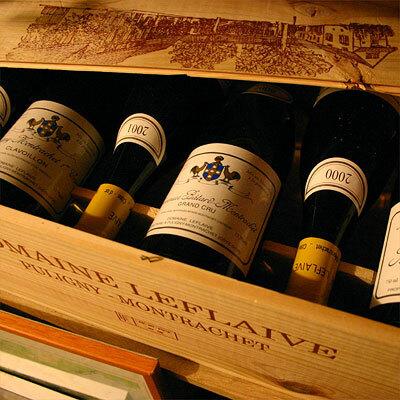 If you have never heard of Domaine Leflaive and Bienvenues Bâtard-Montrachet, would you be fascinated by the bottle? 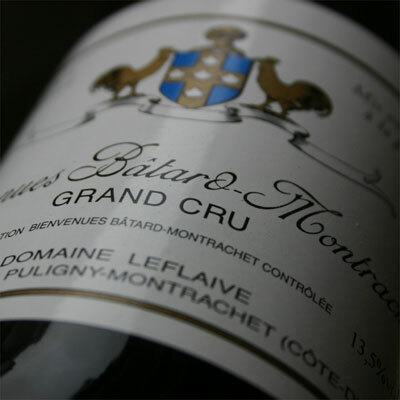 The elegant classic design... the old-fashioned flourished letters singing Bienvenues Bâtard-Montrachet... the label Grand Cru... or wouldn't you? Could it possibly come across as just some random French wine with a difficult name? I wouldn't know. Yesterday this wine gave us lots of pleasure. But also some stress. Earlier that day I had picked the Leflaive from our cellar, and our almost two-year-old daughter insisted on joining me there. 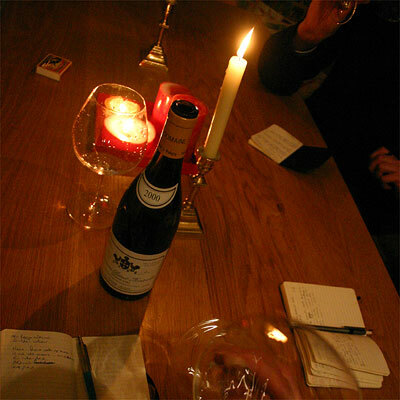 Like always − the cellar is exciting. Probably because it is locked most of the time. Anyway, she was there when I took out the bottle. Hours later, when she was going to sleep, it took me quite some time (while frantically searching the house) to arrive at the thought that her teddy might be in the cellar... and indeed, there it was. Then I also realised that, as I left the cellar with her, she had tried to tell me we forgot her teddy bear... and I'd failed to hear what she was saying; perhaps I thought she was referring to... something with the Leflaives. Surprisingly of course (...), the pleasure that the Leflaive gave us that night fully made up for this teddy-stress. What a wine! Yes, it is what you expect from a good white Burgundy, and still the sheer beauty surprises. The nose is very intense, and you tend to think about pure fruit and (spicy) oak. Until you realise that the nose is explicitly mineral too. And that combined with the mature fruit (at Leflaive they do not necessarily sort out all botrytised fruit, which adds to the complexity of the wine), the oak... all this together marriages into something... wow... this scent is so complete and exciting that my first sniffs instantly gave me goose pimples! And that's a rare experience. With us was bottle 2160. Golden juice. Now I sense some smoke in the nose also. The wine is suave, and slightly creamy in the mouth, very intense, but also with a refreshing acidity (grapefruit). The finish is long. With nuts, butter and a hint of caramel. The end is always difficult: the last sips, then the very last sip. Taste! And that was it, the bottle is empty. We decided it was smart to unplug with Champagne, and so we did. Sounds like a beautiful wine. I wish I had a cellar... more on this topic in the near future. Nice one. If that picture is of a case of this wine in your cellar with several bottles remaining, I am jealous indeed. I'm afraid I've never had the opportunity to drink a Batart-Montrachet, but I did have a Puligny-Montrachet (from leflaive, I think) at the Newport Room in Bermuda last summer which was divine. No there was only one Bienvenues Bâtard-Montrachet... the only grand cru in this case.